Ever since the trailer of Shah Rukh Khan starrer Zero was released, fans have been eagerly waiting to see the superstar on the big screen essaying the role of a dwarf for the first time in his illustrious career. The first song from the film Mera Naam Tu has already got the fans humming its tunes and is fast catching on to the trends charts. While the movie’s trailer and music have have successfully created a lot of buzz, not many are aware that Zero will have a host of other Bollywood stars making cameo appearances in the movie. Salman Khan, Alia Bhatt, Abhay Deol, Rani Mukerji, Karisma Kapoor, Kareena Kapoor, Kajol and the late legendary diva Sridevi are the few known names all set to appear in the film. 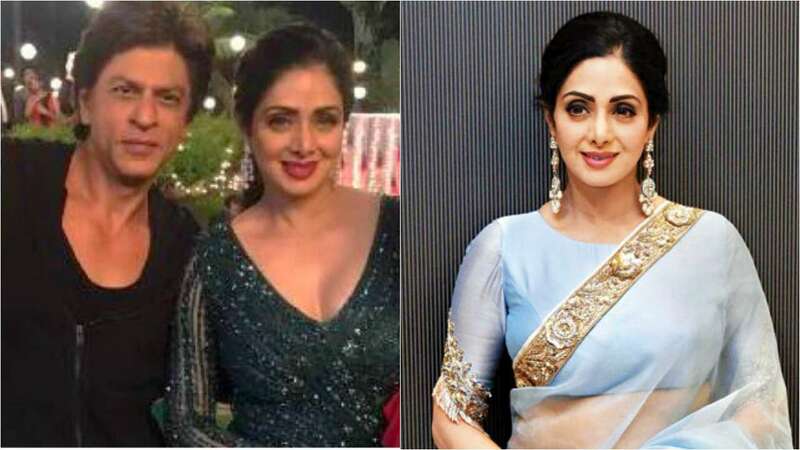 According to a report in Times of India, just like Deewangi Deewangi from Om Shanti Om, Zero also features a song which will have Shah Rukh Khan shaking a leg with a number of leading ladies, one of them being Sridevi. The late actress had shot for her cameo appearance last year in October. She plays herself in the film. The film’s leading hero, Shah Rukh Khan, is leaving no stone unturned to give the diva a tribute in the best way possible. The song which features multiple stars along with Sridevi will not be out until the release of the film. The superstar wants fans to take a look at the late legendary diva’s last cinematic outing directly when the film releases on the big screens next month. In February this year, Sridevi bid goodbye to the world due to accidental drowning in the bathtub of her hotel room in Dubai. Her demise had sent shockwaves in Bollywood industry and her fans across the globe. Directed by Anand L Rai, Zero also stars Anushka Sharma and Katrina Kaif in leading roles. The film is slated to hit the theatres on December 21 this year.